95% of the stony coral in the oceans will be gone within less than 50 years unless we act now. That stark prediction, by Mary Hagedorn of the Smithsonian Institution of Marine Science, would not only mean the loss of some 800 species of this ancient organism and the exquisitely beautiful reefs, but also the loss of fish breeding grounds (and thus our food supply), coastline protection, a link in the ecosystem that produces half the world’s oxygen, and much more. Mary Hagedorn was talking at the Wellcome Collection as part of their joint series with BBC World Service“Exchanges at the Frontier“, and her predictions for coral echoed a report on loss other sea life in Science (16 Jan 2015; abstract) which I could summarise as ‘things are bad, but we can take actions that can make a huge difference’. Another day, another gloomy prediction of ecological disaster? One difference here was that Mary has set out on a personal mission to save the coral. “Biodiversity is crucial to our survival on the planet, and we have to start saving it now – this would be our gift to the future.” So she’s been adapting technologies used for IVF in humans and other mammals, and is currently working to collect and freeze sperm from as many coral species as possible. And where to store the frozen sperm? : she wondered if space might be a possible option, as a brief problem in liquid nitrogen storage could lose everything in a few minutes. Ocean temperatures are rising, and the acidity of the water is increasing. 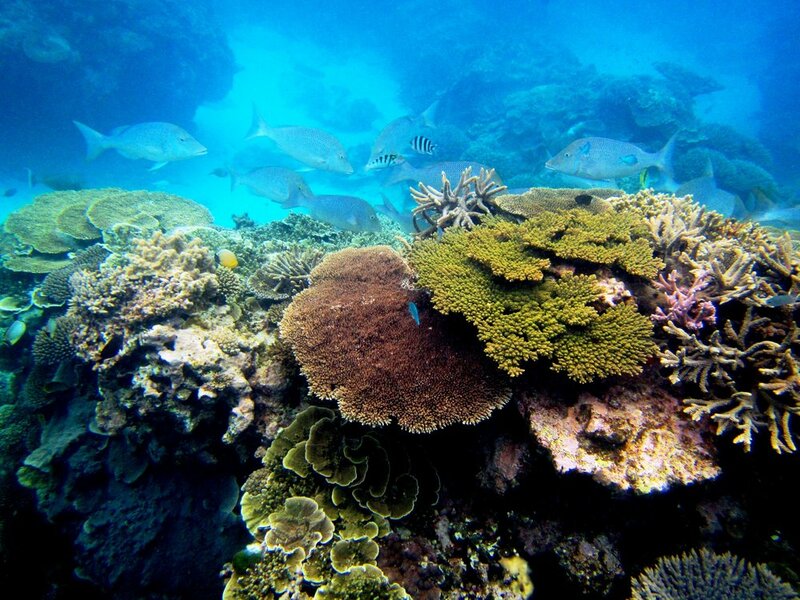 Corals are in fact symbiotic animals, and their colour comes from algae living in the coral and providing energy. And each species of algae has its own tolerance for temperature and pH, and if it’s not right, they just leave home! This leads to ‘bleaching’ the coral, which starts off stressed, and may eventually die. Most of her funding comes from private donations – it appears it’s a rather low priority for the US government research budget. I don’t know the figures, but I reflected , in a week when the European Central Bank had announced a €1 trillion injection of funds, how bizarre our priorities are, that we leave such a fundamentally important project to philanthropists. The programme will be broadcast on Saturday 31st January 2015 at 19.05 GMT on BBC World Service, and available as a podcast.